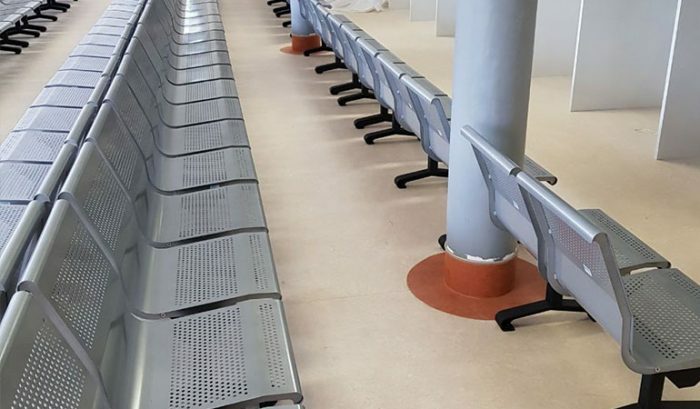 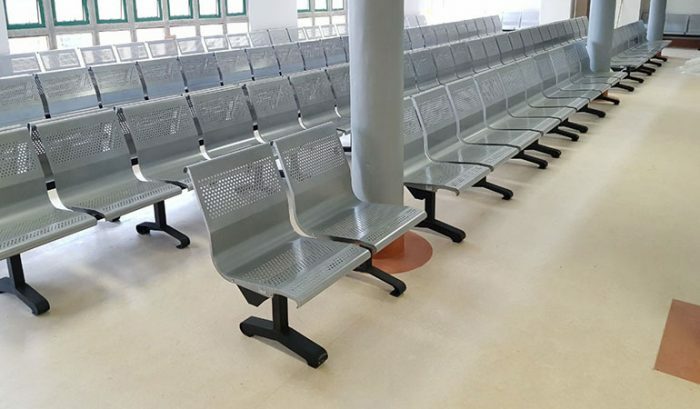 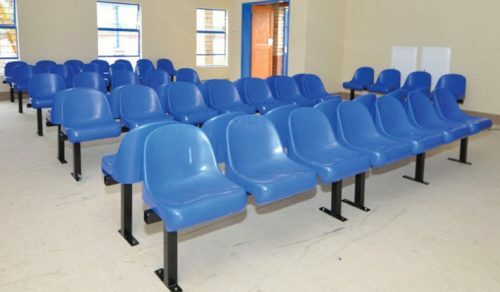 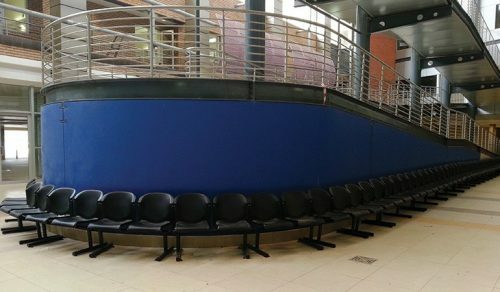 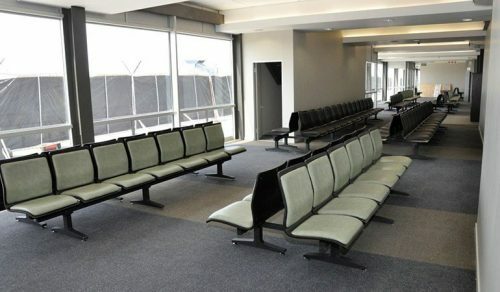 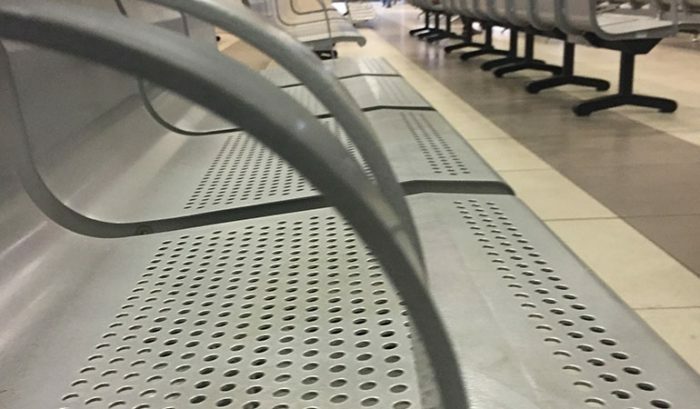 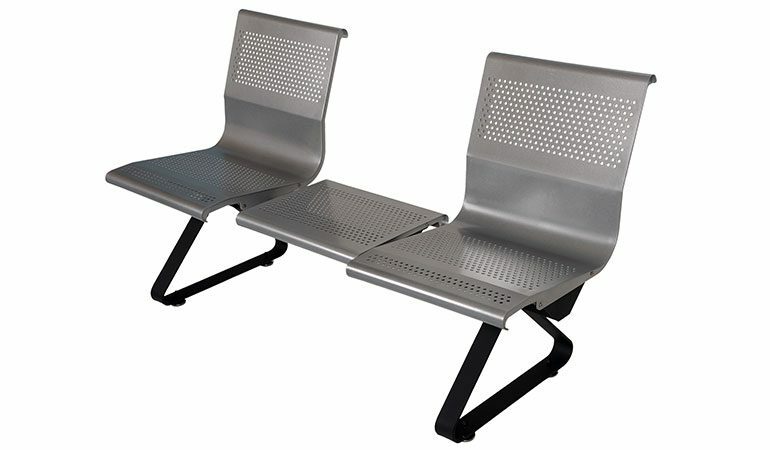 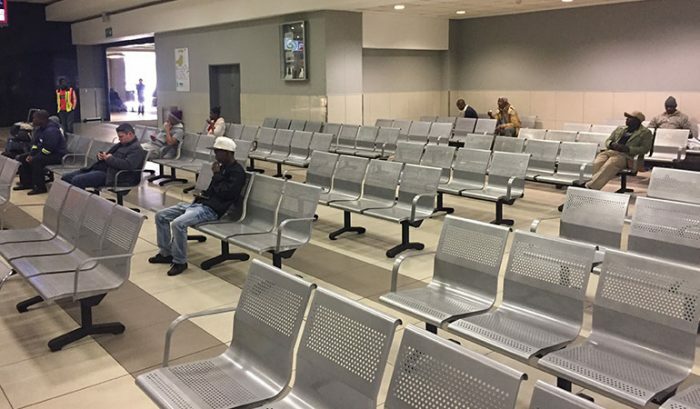 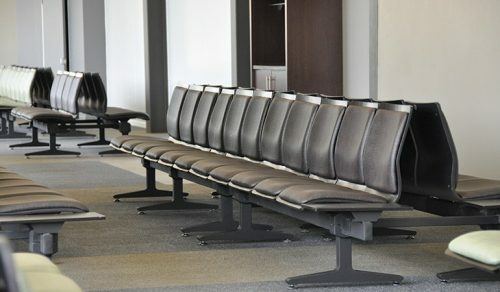 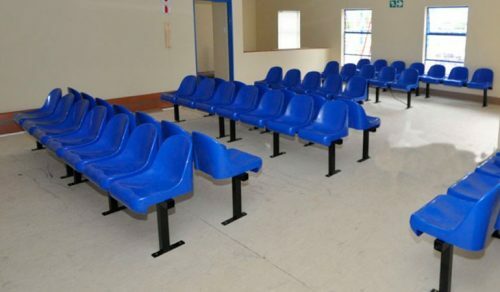 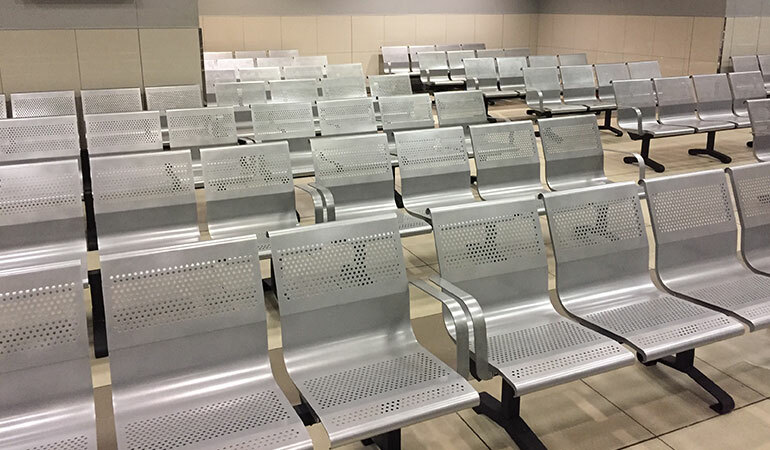 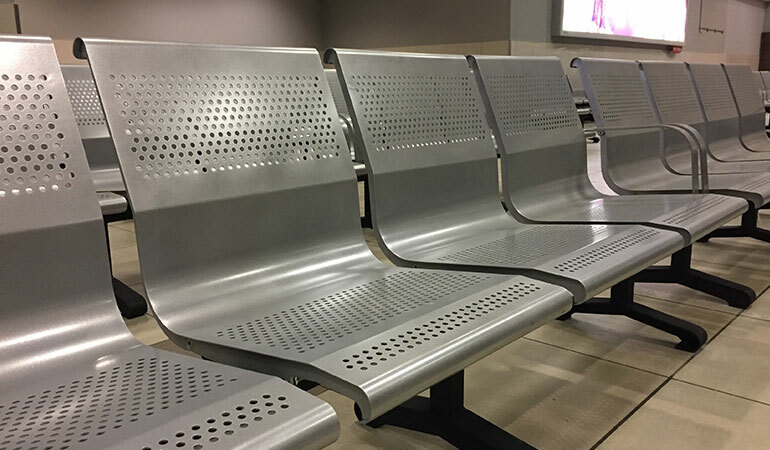 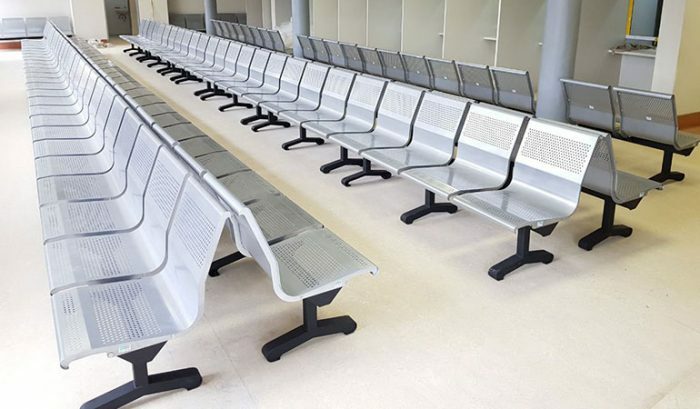 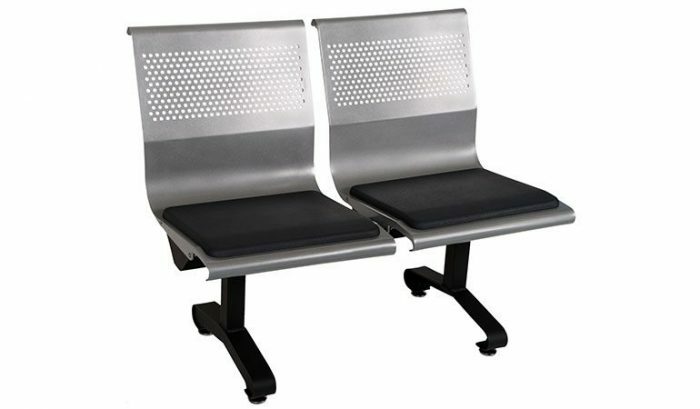 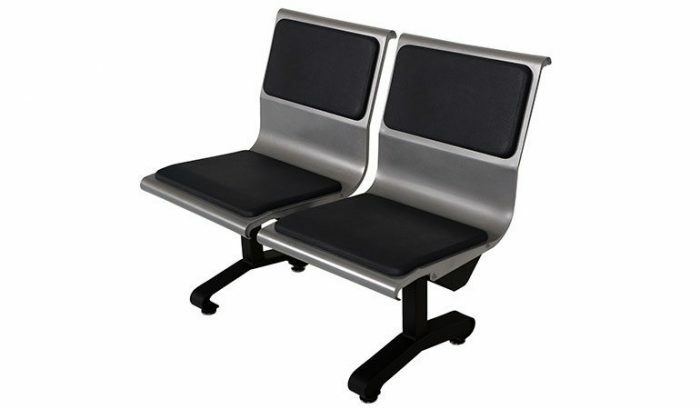 Mild or stainless steel seats, available in a perforated finish or complimented with seat and/or back pads. 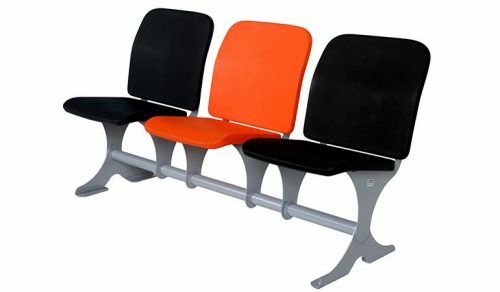 The seat and back pads are available in various finishes, ranging from fabric, leather to self-skinning polyurethane. 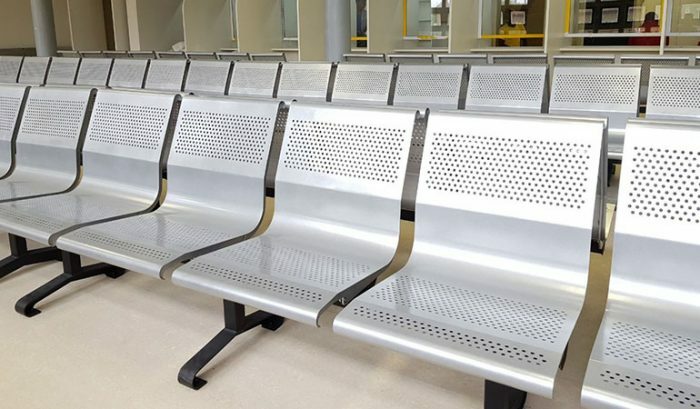 The framework is laser cut and powder coated to your specification. 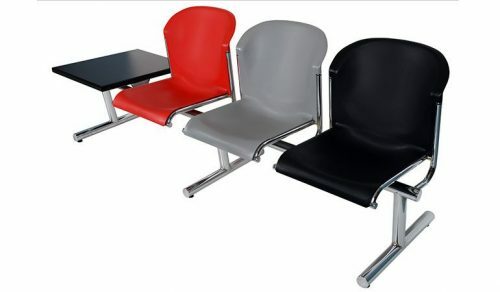 Available in 2,3 or 4 seater configurations, with or without magazine tables.